We are a revolution in Hip Hop and R&B radio. We take over where typical "Hip Hop and R&B" radio stations fall short: more diversity, more artists, more music. Bringing you Hip Hop's bigger picture mixed with R&B, funk, old school, carribean and world beats. 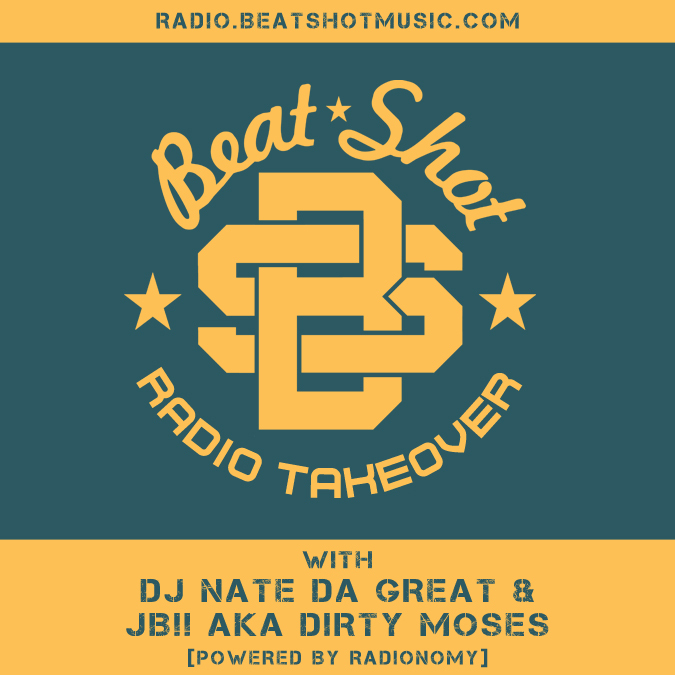 Beat*Shot Radio Takeover is hosted by DJ Nate Da Great, JB!! aka Dirty Moses and Lofi Lobo. The whole crew playing music and talking about whatever we feel like.